1 in 9 Receive Special Edition! 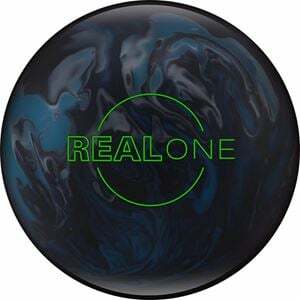 This one is for the ages, and this one will have you asking until the end - which one is Ebonite's The Real One? Featuring the Centrex Symmetrical Mass Bias core, The Real One delivers a low RG/High differential punch perfect for getting down the lane with a dramatic move and aggressive backend. The GB 13.3 Hybrid coverstock polished to a 500/1000 Abralon with Powerhouse Factory Finish Polish shine easily passes through the heads to deliver its fantastic move on the backend. With a specially sealed box, you have a 1:9 chance of opening a special edition ball instead of The Real One. These include The One, Infinite One, Big One, and Angular One balls. If you receive one of these Special Edition balls, you will be eligible to receive a Real One for free.